No great Australian road trip would get very far without some good food to keep you fuelled. Australia has plenty of national treats, both sweet and savoury. Try out these Aussie favourites on your next trip. Pavlova – Let's start with a bit of controversy. Depending on who you ask, this well-known dessert was created in Australia, or New Zealand! Both nations claim the invention in honour of Russian ballerina, Anna Pavlova, when she visited the region in the 1920s. Either way, the creamy meringue and fruit dessert should be tried while touring Australia. 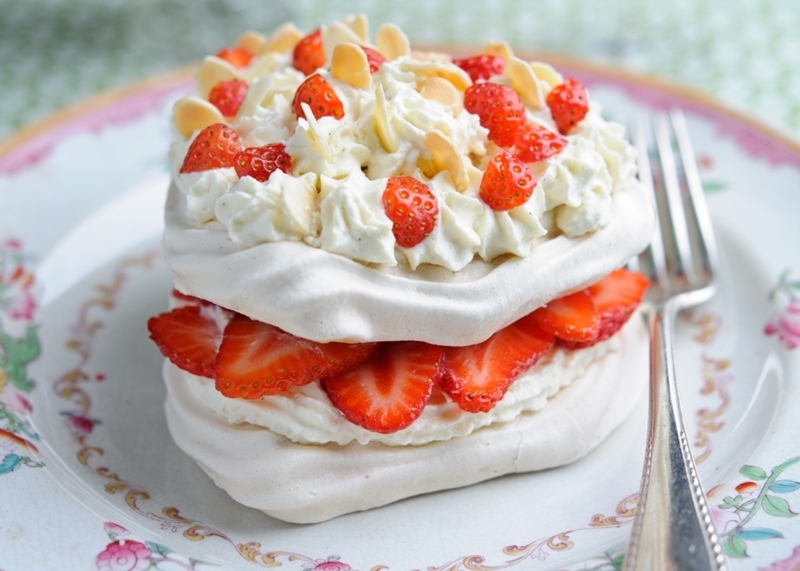 Whether it's Australian or Kiwi, we recommend pavlova. Vegemite – Another one that excites a good debate. If you meet any British visitors on your trip, you might hear the argument that their equivalent, Marmite, is superior. Ask an Aussie, and they'll probably disagree. Truth is, they're pretty similar and both taste good on a freshly toasted slice of bread. Keep a jar for early morning breakfasts, or mid-journey snacks. Be warned – if you've never tried either, they have a unique taste worthy of the famous "love it or hate it" Marmite slogan. Tim Tams – Another Australian love, the Tim Tam. Around 400 million biscuits are sold every year in Australia alone, according to CNN. Consisting of layers of biscuit, with a chocolate filling and coating, they're now available in a multitude of flavours. Eat them the Aussie way by biting off opposing corners and drinking your tea or coffee through the biscuit. It can get messy! Anzac biscuits – ANZAC stands for Australian and New Zealand Army Corps. Supposedly, these oat biscuits were sent to serving World War One soldiers, as they could withstand the long journeys to the battlefields. Today, they're enjoyed more locally and are a favourite for home baking. Whip some up at your next camp stop, and you'll definitely be a popular cookie. A delicious cube of sponge cake covered in chocolate and coconut. Lamingtons – A delicious cube of sponge cake covered in chocolate and coconut. Sometimes you get jam or cream in the middle, too. You'll find Lamingtons in cafes, supermarkets and at roadside stalls. They're such an Australian institution, there's even a national day dedicated to them in June. Get the Lamingtons in for your next on-the-road coffee break. 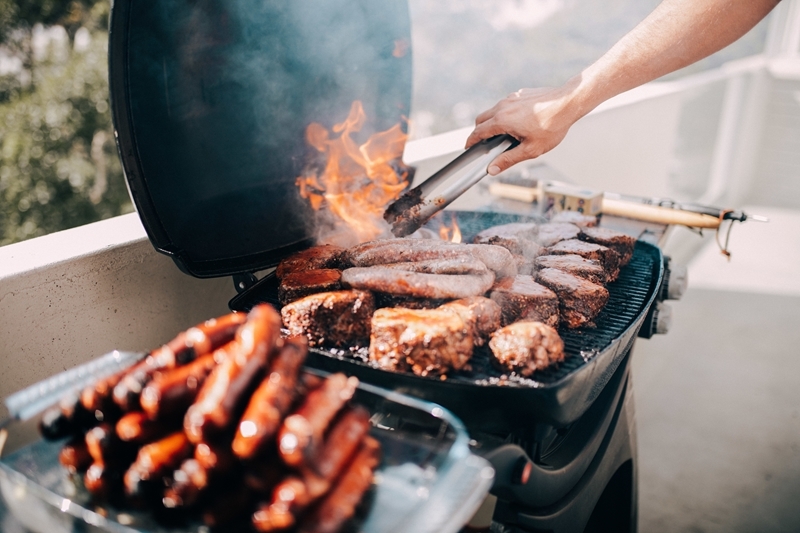 The great Aussie barbie – Australians love nothing more than gathering for a barbecue. The phrase, 'chuck it on the barbie' is synonymous with the Aussie lifestyle, and you can indeed 'chuck' on almost anything. Burgers, sausages (aka snags! ), steak, fish and seafood are popular options. No Aussie barbecue would be complete without a cold beer accompaniment – once you've safely parked up for the night. The Aussies are known for enjoying a barbecue. Chicken Parmigiana – The original dish may have been inherited from the Italians, but the Aussies have put their own spin on this classic dinner. Chicken topped with tomato sauce and cheese has become a popular pub dish, sometimes even commanding its own night on the menu. If you've got a designated driver, it goes down very well with a beer, and often comes with a side salad or portion of fries. Barramundi – This popular fish is served across the country and in a variety of ways. You might find it fried, grilled, barbecued or baked. The word itself comes from the Aboriginal language and supposedly means "large-scaled river fish". Give it a go yourself, and 'chuck it on the barbie'. The 'roo is known for being a drier meat and is often served medium to rare. Kangaroo – Despite the perception of the rest of the world, Kangaroo isn't a daily feature on the Aussie dinner table, but can be found easily at supermarkets and on pub menus. The 'roo is known for being a drier meat and is often served medium to rare. It's low in fat too, making it a healthy meal choice. Why not take the opportunity to try something a little different? Get your food tour on the road with East Coast Car Rentals. Book your hire car online now.